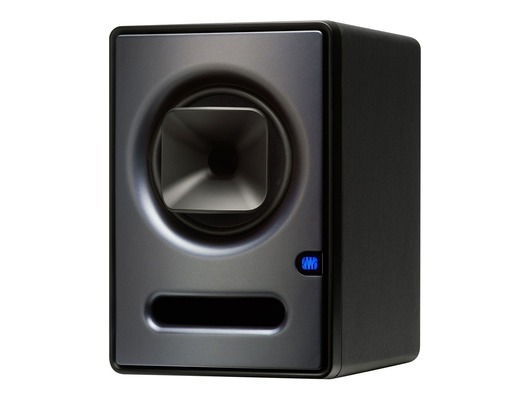 Here we have the PreSonus Sceptre S6 professional studio monitor. This powerful piece of equipment has been obsessively designed by PreSonus to be the ideal companion to any producer with high quality components that give you crisp, clear audio across a wide frequency range. 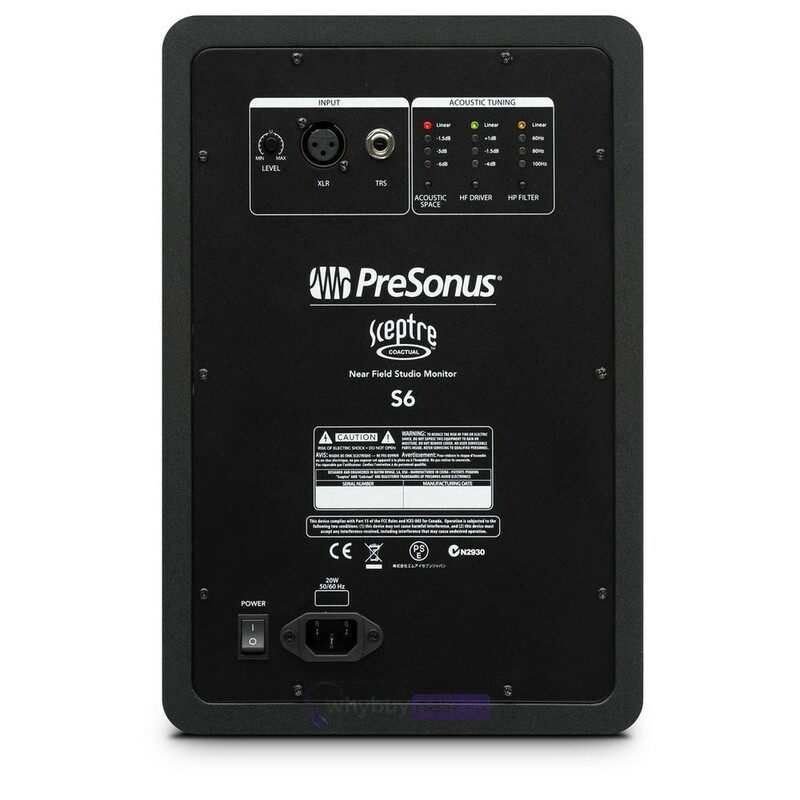 The PreSonus Sceptre S6 can maintain an accurate transient reproduction even at high volumes because its custom coxial drivers drastically reduce distortion. Plus the Sceptre S6 enables custom tuning so can adjust the levels to suit your studio environment. 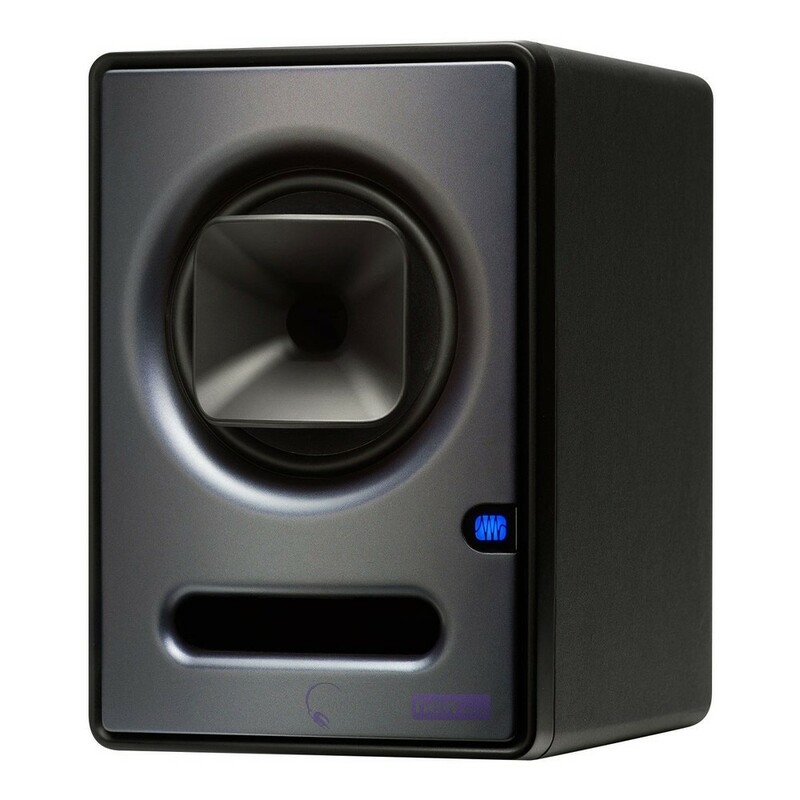 The lifelike, three-dimensional soundstage of Sceptre S6 studio monitors has garnered praise from some of the most critical engineers in the audio industry. Their unique design delivers pure and honest sound reproduction that brings to light subtle nuances in recordings that cannot be heard in other monitors. The result is panoramic imaging, finely detailed transient response, and stunning dynamics is nothing short of astonishing. The single point source provided by coaxial designs offers unique advantages, thanks to their consistent acoustic centre and symmetrical dispersion pattern. The proprietary CoActual design in the Sceptre S6 relies on custom coaxial drivers and advanced onboard DSP to create a seamless crossover transition and an even frequency response. The net result is exceptional 3D imaging and a natural listening experience that reveals the subtlest details. With a conventional two-way design that places the high-frequency driver directly above the low-frequency driver, where you are listening is critical to how well you will hear the audio. By contrast, the Sceptre S6's frequency response is symmetrical horizontally and vertically, thanks to its coaxial design. When coupled with Fulcrum Acoustics Temporal Equalization algorithms, the result is a crisper stereo image, greater soundstage depth, more separation between components in a complex mix, and a less fatiguing listening experience. Consonant sounds in speech, percussion, attack and decay of musical instruments are all transient signals. Transients consist of complex combinations of many frequencies. The phase relationships of these individual harmonics are a critical part of the characteristic "sound" of an instrument or voice. When they are reproduced accurately, the result is sonic transparency, definition, and intelligibility. By maintaining the transient reproduction, even at high volumes, CoActual speakers minimise distortion and produce clean, clear, consistent audio at any SPL. Sceptres provide extensive user-adjustable contour features that let you optimise the monitors for your mixing space. This enables full integration into any studio environment. A four-position Acoustic Space switch helps to compensate for the boundary bass boost that occurs when the monitor is placed near a wall. A high-frequency driver level control helps to further mitigate room anomalies. An onboard highpass filter makes it easy to integrate a Temblor or other subwoofer into your monitor setup. 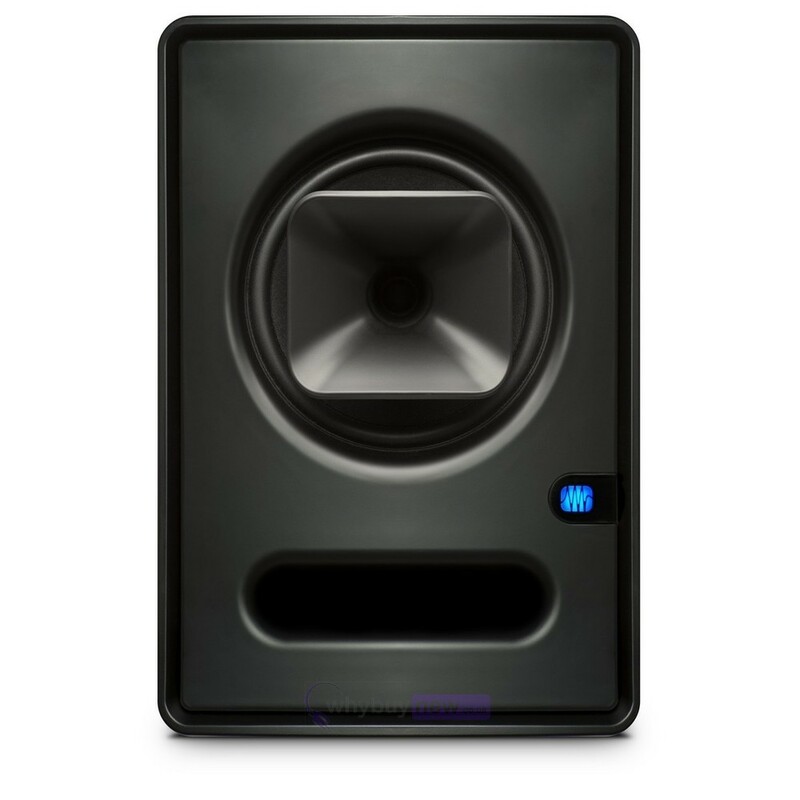 The unique design of Sceptre S6 CoActual studio monitors delivers unmatched lifelike sonic reproduction and three-dimensional soundstage. Their ability to accurately reproduce transients and smooth frequency response will reveal subtle nuances that afford a truly honest listening experience. Hear them at your favourite PreSonus dealer.